UPDATED: Wed., Jan. 30, 2019, 6:49 p.m.
PULLMAN – On the heels of a banner season, Washington State’s offensive and defensive play-callers received votes of confidence from the school administration Wednesday afternoon through contract extensions. WSU and seventh-year coach Mike Leach took the first step in negotiations, agreeing in principle to a contract provision that adds another year to his original four-year deal and keeps Leach in Pullman through the 2023 season. 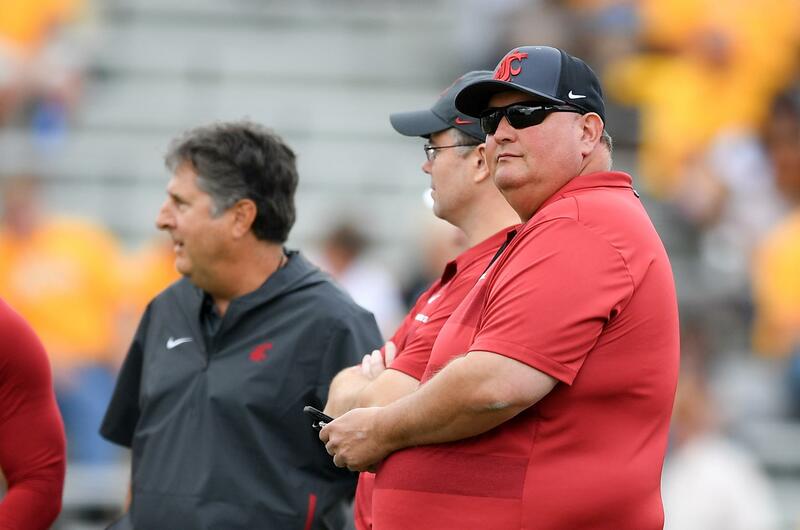 The Cougars also struck a deal with Leach’s first-year defensive coordinator, Tracy Claeys, who signed a three-year extension that keeps him on staff through the 2021 season. Details of Claeys’ contract were not released. “Coach Mike Leach has built a nationally prominent football program at Washington State and our student-athletes continue to excel athletically and academically under his leadership,” WSU Director of Athletics Pat Chun said in a press release. “His ability to create and steward a winning culture, combined with his vision and expertise, make him one of the elite coaches in the entire sport of football. Leach’s offense and Claeys’ defense improved categorically in 2018, helping the Cougars notch the first 11-win season in program history. WSU capped the season with a 28-26 win over Iowa State in the Alamo Bowl – the program’s fourth consecutive postseason appearance – and the Cougars finished No. 10 in the final Associated Press Top 25 poll, higher than any team in the Pac-12. The WSU offense made notable improvements in 2018 with graduate transfer quarterback Gardner Minshew, leading the Pac-12 in points per game (37.5) and yards per game (451). The Cougars scored just more than 30 ppg and gained 434 ypg in 2017. Claeys and the defense made strides, too. In the final year of Alex Grinch’s tenure as WSU’s DC, the Cougars allowed 25.8 ppg. Claeys, formerly the head coach at Minnesota, improved that number to 23.3 ppg in his first season. Thanks to a late-season turnover surge, the Cougars turned their opponents over 23 times throughout the course of the year, tying for second in the Pac-12 in that category. Leach was named the AFCA National Coach of the Year in 2018 and was in the running for various other coaching awards. Claeys was one of 15 semifinalists for the Broyles Award, handed out annually to the nation’s top assistant. Published: Jan. 30, 2019, 2 p.m. Updated: Jan. 30, 2019, 6:49 p.m.